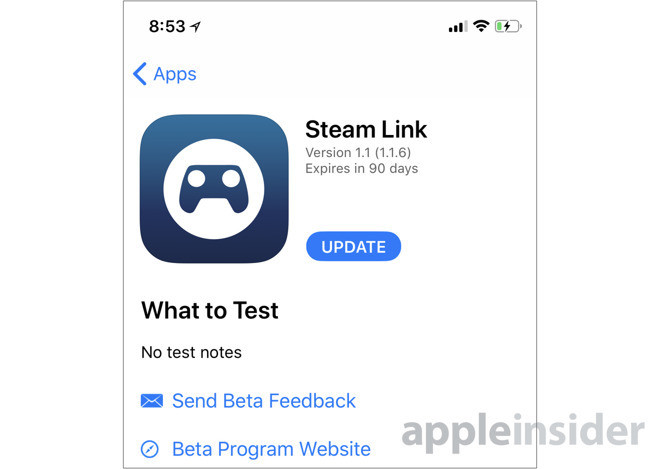 A new beta for Steam Link has appeared on TestFlight, Apple's testing framework for iOS developers, with the app identified as version 1.1 (1.1.6). There are no test notes in TestFlight for the software, suggesting that Valve only wants performance-related feedback, rather than testing any specific part of the app. Steam Link is an extension of Valve's existing In-Home Streaming function for the Steam client, allowing gamers to stream gameplay video from a Mac or PC to another device across the network. 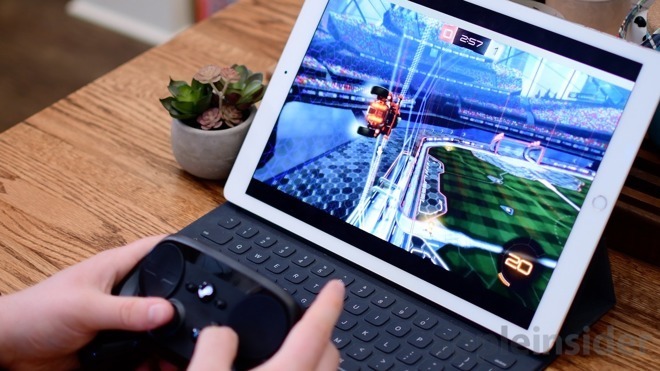 This in effect allows for games on a more powerful computer to be played elsewhere in the home, with the app in question making it possible to do so on an iPhone, iPad, or an Apple TV. Originally intended for launch in the week of May 21, it was discovered on May 24 that Apple had rejected the app from being distributed through the App Store. It was also revealed the app was approved by Apple on May 7, but revoked three days later for "business conflicts with app guidelines" that the original review team didn't recognize. Apple Senior Vice President of Worldwide Marketing Phil Schiller shed more light on the refusal, noting it "violates a number of guidelines around user generated content, in-app purchases, content codes, etc." Schiller advised Apple had disclosed the problems with Valve, and would continue to work with the company to bring the app within the App Store guidelines. AppleInsider's testing of the Steam Link app showed it does not immediately allow users to buy Steam games, but a number of workarounds were discovered that enabled purchases to take place. Under App Store guidelines, apps must use Apple's own transaction system for in-app purchases of digital content, providing the company with 30 percent of the revenue, or act as a "reader" app to access the content without permitting purchases at all. On June 4, Apple posted new App Store Review Guidelines prohibiting developers of PC-mirroring apps from displaying a "store-like interface" in their apps, and to avoid providing mechanisms to browse or purchase "software not already owned or licensed by the user." One concession Apple provides to the rule is that "transactions taking place within mirrored software do not need to use in-app purchase, provided the transactions are processed on the host device." In the case of Steam, the iOS app itself couldn't be used to buy content, but it could be used to access an online store on the host PC or Mac to perform the transaction. AppleInsider is testing out the new Steam Link beta, and will report if there are significant changes to how the app operates.